CSI is a voluntary organization of members dedicated to the efficacy of specifications in the construction industry. The organization is dedicated to "Building Knowledge, and Improving Project Delivery." It is a unique mix of architectural professionals and industry focused members that are uniquely suited to help accomplish the goal of every industry person. To work towards completely eliminating the hazardous effects lead poisoning can have, the Environmental Protection Agency (EPA) requires that all contractors, renovators, and painters who work in pre-1978 homes and/or child-occupied facilities be certified and follow lead-safe work practices. Overhead Door Company of Greater Pittsburgh is a Service Disabled Veteran Owned Small Business (SDVOSB). 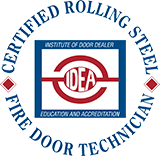 We are federally and PA state certified. 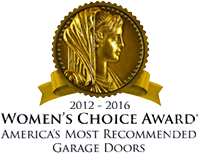 For five years running, Overhead Door Corporation has earned the Women’s Choice Award by WomenCertified® for America’s Most Recommended Garage Door brand. This award designation is based on a national survey of women who were asked to select the brands they would most likely recommend to others. Serving Westmoreland, Fayette & Allegheny Counties, the Norwin Chamber of Commerce represents businesses of all sizes and types, from sole-proprietorships and home-based businesses to large health care facilities, manufacturers and non-profits. 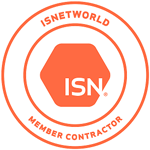 ISNetworld helps connect contractors and supplier with hiring clients in more than 85 countries around the world the world.